Media Credit: Original photo by flickr user Simon Q used under a CC BY 2.0 license, modified for story. Looking for a last minute gift? A subscription to the Adobe Creative Cloud Photography package might be a good pick. If you’re like me, you forget to buy gifts for the holidays until the last minute – even up until Christmas Eve. Frantically, I’ll go to Amazon to look for a present for a loved one, and realize it would arrive after the holidays have passed. With no other options, I’ll buy it and be the jerk that wraps a picture of the gift in a tiny box. But there’s a solution for gift-buying procrastinators like you and me: online subscription services. They’ve become popular in the past few years, and I personally think they are a great way to have services delivered in a digital age. They practically beg for you to buy them at the last minute. Everyone’s heard of Netflix or Spotify Premium, so here are my suggestions for three subscription services that would make the perfect gift for someone on your list. There’s bound to be someone on your list who absolutely loves taking photos. But more often than not, those photos don’t look exactly how the photographer wanted them to – maybe they’re underexposed, or the white balance was off. 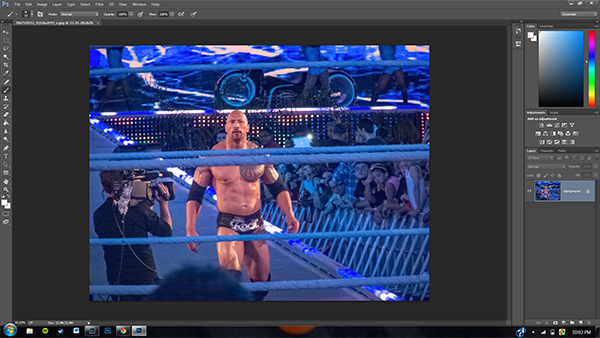 Simply put, the Adobe Creative Cloud Photography package is the best way to fix these mishaps. It comes with both Adobe Photoshop and Lightroom, so you can both edit photos and catalog them efficiently. The programs can handle photos for everything from an iPhone to a top-of-the-line DSLR camera. The yearly commitment might seem like a high price, but as someone who likes to pretend he’s a photographer himself, my membership is one of the most useful gifts I’ve received in a long time. You know that person who says, “Oh, I love to read, but I just don’t have the time for it.” Here’s your gift for that person. Audible is an audiobook service run by Amazon, where you can buy audiobooks either individually or with a monthly subscription, which nets you one free book download a month plus 30 percent off any other ones you want to purchase. Audiobooks aren’t cheap, so if you know someone who wants to listen to at least one a month, this is a good buy. I think audiobooks are much better way to spend your time when you’re driving than listening to whatever is on the radio. If you’re looking for one to suggest, Douglas Adams’ “Hitchhiker’s Guide to the Galaxy” is a great place to start. Alright, so hear me out for a second. Someone on your list absolutely grew up watching the Undertaker duke it out with The Rock or was one of Hulk Hogan’s most dedicated Hulkamaniacs (and if you can’t think of someone, it’s probably you). Wouldn’t it be great to re-watch all those old matches and relive your childhood? It absolutely would be – and you can with the WWE Network. It has all the old pay-per-views going back to the creation of the company, which are just fun to watch. As a bonus, you get the current month’s pay-per-view included with your subscription, along with a lot of original programming exclusive to the Network, so you can watch John Cena and other current superstars battle in the Squared Circle. If you know someone who’s looking for a nostalgia trip (or is a current fan), the WWE Network is a solid choice.